In Britain this species is very rare indeed, and protected. Found in only about 3 localities on sandy nutrient-poor grassland or dunes. Very scarce in Holland, where it occurs in similar coastal areas. Our stock comes from central Europe, where it is sometimes found on dry limestone slopes where the vegetation is sparse. Eggs are laid in batches particularly on grasses where they can be tucked into pockets and hollow stems. The larvae feed on a variety of vegetation - possibly almost anything that is growing amongst the grasses. They are recorded as feeding on Clovers, Kidney Vetch, Bird’s-foot Trefoil, Yarrow, Creeping Willows and Sallows, Coltsfoot, Plantains, Burnet Rose and even Flag Iris. 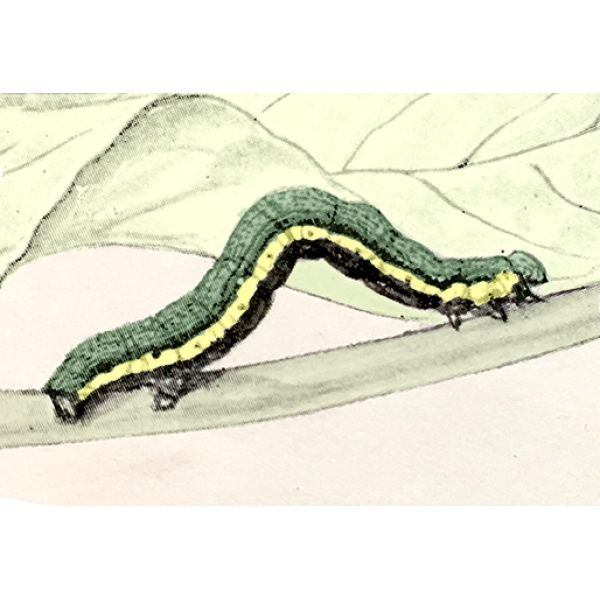 The larva is a medium green, well camouflaged colour, but with a prominent lemon yellow lateral stripe. This is a Geometer - looper caterpillar. 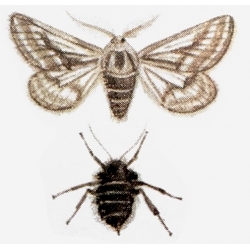 This is one of the few moths that has a wingless female. The female rests sometimes prominently where they more easily attract males, which fly by day and by night. 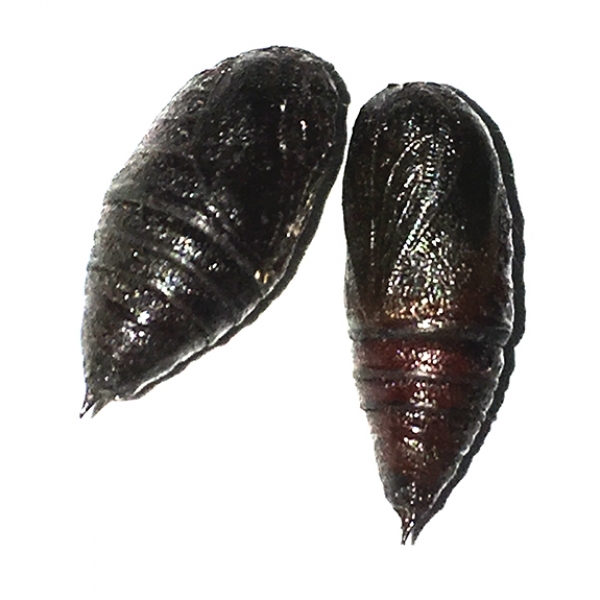 The pupa is formed only a little below the ground surface, where it spends the winter. Emergence starts in the very early spring. This is an opportunity not to be missed, to breed a very rare species and see its life history at first hand.